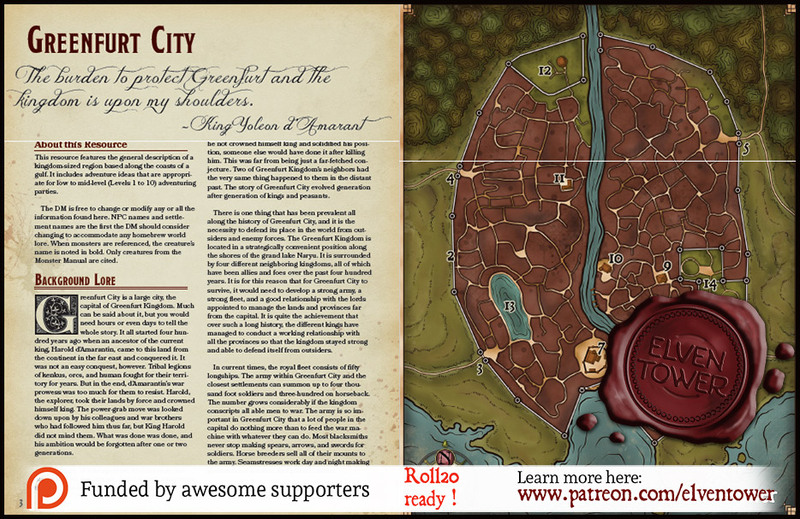 Greenfurt City is a large city, the capital of Greenfurt Kingdom. Much can be said about it, but you would need hours or even days to tell the whole story. It all started four hundred years ago when an ancestor of the current king, Harold d’Amarantin, came to this land from the continent in the far east and conquered it. It was not an easy conquest, however. Tribal legions of kenkus, orcs, and human fought for their territory for years. But in the end, d’Amarantin’s war prowess was too much for them to resist. Harold, the explorer, took their lands by force and crowned himself king. The power-grab move was looked down upon by his colleagues and war brothers who had followed him thus far, but King Harold did not mind them. What was done was done, and his ambition would be forgotten after one or two generations. These days, in retrospective, historians do not blame him for his actions. It was a very competitive time back then for explorers and conquerors. Had he not crowned himself king and solidified his position, someone else would have done it after killing him. This was far from being just a far-fetched conjecture. Two of Greenfurt Kingdom’s neighbors had the very same thing happened to them in the distant past. The story of Greenfurt City evolved generation after generation of kings and peasants. There is one thing that has been prevalent all along the history of Greenfurt City, and it is the necessity to defend its place in the world from outsiders and enemy forces. The Greenfurt Kingdom is located in a strategically convenient position along the shores of the grand lake Naryu. It is surrounded by four different neighboring kingdoms, all of which have been allies and foes over the past four hundred years. It is for this reason that for Greenfurt City to survive, it would need to develop a strong army, a strong fleet, and a good relationship with the lords appointed to manage the lands and provinces far from the capital. It is quite the achievement that over such a long history, the different kings have managed to conduct a working relationship with all the provinces so that the kingdom stayed strong and able to defend itself from outsiders. In current times, the royal fleet consists of fifty longships. The army within Greenfurt City and the closest settlements can summon up to four thousand foot soldiers and three-hundred on horseback. The number grows considerably if the kingdom conscripts all able men to war. The army is so important in Greenfurt City that a lot of people in the capital do nothing more than to feed the war machine with whatever they can do. Most blacksmiths never stop making spears, arrows, and swords for soldiers. Horse breeders sell all of their mounts to the army. Seamstresses work day and night making garments for soldiers and private armies. On the other hand, it is every boy’s dream to become a famous soldier and be knighted by the king or a high lord. Most boys play with wooden swords or other crude imitations of actual weapons because the soldiers within Greenfurt City are a respected class whom they admire. A shadow stirs in the east. A neighbor kingdom has escalated aggression over the past few months until they decided to do a direct attack upon Greenfurt Kingdom. A border fort was stormed and taken last week. Fort Nanibus was overwhelmed by enemy forces and there is no way to know whether the garrison were all killed or are currently prisoners. King Yoleon d’Amarant was furious. He felt inclined to send a large force east to get rid of the invaders and recover the fort. He was appeased by his counselors and it was decided to wait for the enemy to make another move. After all, the capital could summon a larger attack force in a week or two, so there was no need for the rush. Unknown to the king, one of his advisors is actually a spy. Lord Jerome Vine, a supposedly trusted advisor betrayed King Yoleon a few weeks ago. He sold the easterners secrets about troop numbers and a delayed response from the capital. He was the main mover against a swift response. His accomplishment in convincing the king to act later will give the enemy a large advantage because Lord Jerome has taken care that no scout reports their approach back to the capital. In exchange of this, if the easterners manage to take Greenfurt City, the invader overlord shall name Lord Jerome the second-in-charge of the new king. This is the home of King Yoleon and all other members of the d’Amarant family. King Yoleon has two sons and two daughters. His eldest son, Danes, is seventeen years old and currently attends all matters of state with his father. The younger son, Adin, is fifteen years old and a sword prodigy. Adin surpassed his sword teacher last year and King Yoleon had to summon a more experienced swordsman veteran from a far away province. Adin will surely become a knight prince or a general later in life. The two twin daughters are Fiana and Hannia. Both twelve years old. King Yoleon is thinking of promising one of them in marriage to his enemies as a method to strike a truce with them but he still has not made up his mind about it. The castle has its own wall, six watchtowers, and a reinforced gate. It has never been tried against a siege since no invading army has ever gotten as far as the castle. The dungeons and underground network of passages under the castle have been enlarged generation after generation over the past two hundred years. King Yoleon knows the main tunnels and secret exits out of the castle and the city. Only Lord Barlen, an advisor and close friend to the king, knows the underground network well enough to move around without getting lost. The market is located on the southeastern side of Greenfurt. It is surrounded by a commercial neighborhood close to the Mud Gate. The market owes its name to a debacle more than fifty years ago. Back then, flower sellers started to sell new brands of colored roses of which no one had ever seen before. The demand grew exponentially among the aristocracy in Greenfurt. The prices of such flowers and rosebuds grew as well and reached unimaginable levels for such common items. The breaking point was reached when sellers offered rosebuds of supposed kinds for a gold coin. Soon after, people knew they had gone too far and stopped their flower fever at once. The prices dropped and such a thing never happened again. Many investors, buyers, and sellers lost large quantities of their money and they never saw it again. Thus, the Rosebud Market kept the name as a reminder of how far people can go when they are convinced of a ridiculous idea. Strangely enough, there are no flower sellers in the market anymore. Most stalls have food items and a few traveling gear items. There are two walled areas next to the east side of Greenfurt’s wall; both of them are graveyards. The reason they are walled is that religious beliefs in Greenfurt about death and the afterlife are very important to most people in the city. It is believed that the final resting place of a dead person is a place of ultimate peace which shall never be disturbed. However, the superstitious also believe that the wall protects the living from vengeful spirits from the other side. Popular belief has it that spirits come back to the world after midnight to roam the world. The consecrated walls contain those spirits within the Bone Gardens. The graveyard wardens keep to their gatehouses and do not even bother going in at night. It is taboo to visit the dead after midnight; only a fool would venture inside the Bone Gardens. No one would bat an eyelash if he or she were never seen again. These are the general features of Greenfurt City. The city is located along the shores of a great lake and it is a commercial and transport hub which receives thousands of visitors and merchants each year. Terrain. Greenfurt City is located relatively close to the equator and features temperate climates all year round. This makes it a very pleasing location for tourists and wealthy people. Government. 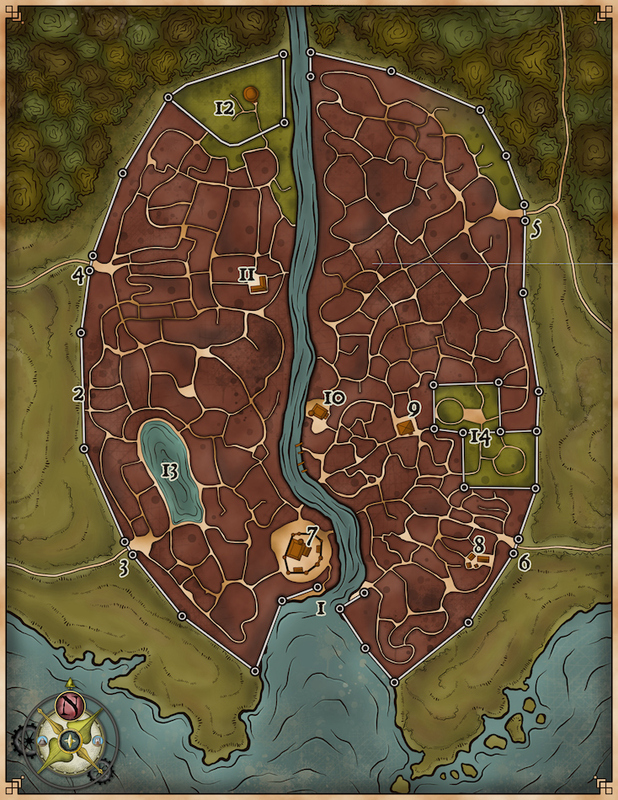 Greenfurt City is the capital of a medium-sized kingdom. 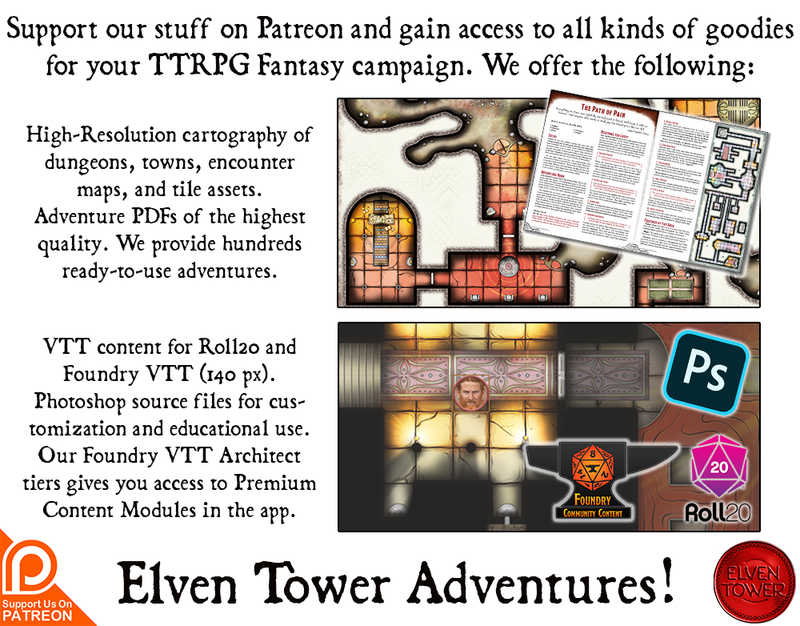 It receives considerable tithes and taxes from neighboring settlements in exchange for protection from outside forces. King Yoleon d’Amarant is the current ruler. Exports. There are logging camps and mines north of Greenfurt City. These are very profitable. Wooden and obsidian craftsmanship articles are Greenfurt City’s main exports. The city also sells or leases troop regiments from its main army. Greenfurt is a very war-driven settlement with soldiers to spare.